From Peter Blauner, the writer Dennis Lehane calls "one of the most consistently bracing and interesting voices in American crime literature," comes a new thriller about a lone young cop on the trail of a powerful killer determined not just to stop her, but to make her pay. In the summer of Star Wars and Son of Sam, a Long Island schoolgirl is found gruesomely murdered. A local prosecutor turns a troubled teenager known as JT from a suspect to a star witness in the case, putting away a high school football star who claimed to be innocent. Forty years later, JT has risen to chief of police, but there's a trail of a dozen dead women that reaches from Brooklyn across Long Island, along the Sunrise Highway, and it's possible that his actions actually enabled a killer. That's when Lourdes Robles, a relentless young Latina detective for the NYPD, steps in to track the serial killer. She discovers a deep and sinister web of connections between the victims and some of the most powerful political figures in the region, including JT himself. Now Lourdes not only has to catch a killer, but maybe dismantle an entire system that's protected him, possibly at the cost of her own life. 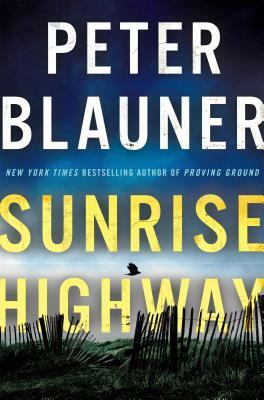 PETER BLAUNER is an Edgar-winning, New York Times bestselling author of several novels, including Slow Motion Riot and The Intruder. He is currently the co-executive producer of the CBS show, Blue Bloods. Proving Ground is his first novel in ten years.